Most dental plans will cover your care with different co-pay levels, which means that some procedures may be fully covered by your plan, while other procedures may require you to pay a part of the cost. Diagnostic and preventive care – Most dental plans cover these procedures completely or require only a small payment from the patient. Diagnostic and preventive care typically includes checkups, X-rays, routine cleaning, fluoride treatment, and other procedures that detect or prevent tooth and gum disease. The list of procedures that falls into this category varies by provider; for example, a dental plan might consider fluoride treatment a “basic procedure” and require a larger co-pay. Basic procedures – Many dental plans cover these procedures with a small co-pay. Basic procedures include tooth removal, cavity fillings, gum care and repairs to cracked or chipped teeth. Some providers even include surgeries such as root canals in this category. 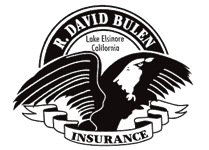 to find out what else could be included in your dental insurance package, contact R. David Bulen Insurance Agency today to get started!